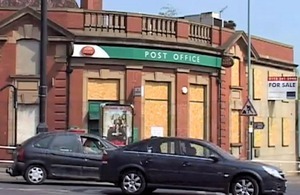 Residents in Darnall, Sheffield, have benefited from the country's first charity run post office after their convenient and well-used local facility unexpectedly closed in August 2009. Fortunately, the Darnall Forum, a local charity run by residents, stepped in to ensure that this crucial service was not lost and the post office re-opened just a year later. Watch a video to find out more about what the post office means to the local community. The success of the post office has left local residents thrilled and shows what can happen when a community group takes over the running of a service from a national institution. The Community Right to Challenge is an important element of the government’s Localism Bill which can assist with this. By giving community or voluntary sector organisations new powers to challenge and take over the running of a local service, such groups can be at the forefront of their community. The new post office was opened after the Darnall Forum’s members, working on behalf of the wider community, talked to their MP and local councillors to do everything they could to finally reach an agreement with the Post Office. The project was also aided by a £10,000 start-up grant provided by Sheffield City Council and a £40,000 loan from Key Fund Yorkshire, which supports social enterprise initiatives across the local area. All profits from the charity run post office will go back into Darnall Forum’s other community projects such as employment and training initiatives. Through a new scheme being promoted across Sheffield, the post office has even started to offer services such as allowing people to pay their council tax and housing rent at the branch. The hard work and dedication of the Darnall Forum shows what can be achieved when a community works together to ensure that local services are still first class.